The hot gift last holiday season was the Super Nintendo Mini, and this year Sony decided to get in the shrunken-down classic console game with the PlayStation Classic. 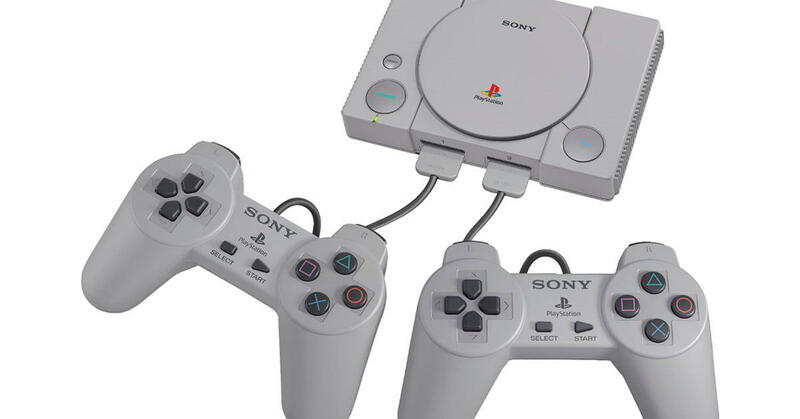 The system comes with two controllers, and is loaded with 20 games from the PlayStation’s early years. It has some great titles like Final Fantasy VII, Twisted Metal, and Metal Gear Solid, but also has some less well remembered games, like Jumping Flash and Destruction Derby. The essential game for Nintendo Switch this winter is Super Smash Bros Ultimate. The fifth game in the series, it’s also the biggest - featuring every single character that has ever been in a Smash Bros game, and then a few more. Smash Bros is a fighting game, but with a twist - instead of losing when your health meter runs out, you lose when you get knocked off the stage. The more damage you take, the farther you fly when you get hit, and the harder it is to recover. The game features 74 different fighters, including characters from virtually every Nintendo game ever, plus other popular characters like Pac-Man and Sonic the Hedgehog. The hottest game right now for the PlayStation 4 and Xbox One is Red Dead Redemption 2. This game is essentially a spaghetti western version of Grand Theft Auto. The game’s protagonist is part of a gang that robs banks, sticks up stagecoaches, and are generally just bad dudes. The story is set in a slightly fictitious American South in 1911, when outlaws like these are dealing with cultural changes exterminating their way of life. The game has a surprising amount to say about white supremacy and the experience of people of color in turn-of-the-century America.